You want to go on a different kind of pub crawl? Go on the 666 Anti Pub Crawl! They come to pick you up from the EastSeven Berlin Hostel, every day at 8.45 PM! The 666 anti pub crawl is a different kind of pub crawl. Visit some of the most amazing, original spots in the city and actually meet some of the locals.This is what our alternative bar tour is all about. Price of ticket, 10€, gets you free entrance to all bars & clubs along the way and free shots at select (!) locations. We visit exclusive clubs and expect you to know your tolerance and act accordingly. Perfect way to the discover the Berlin night life!! 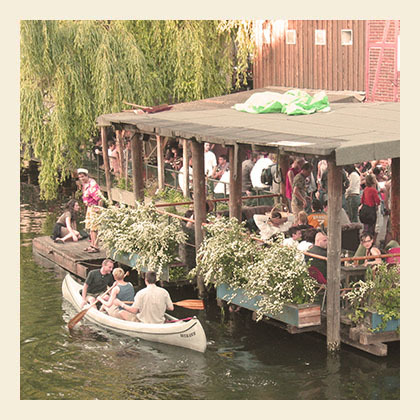 Berlin on a budget.The 5 best places to hang out!